Providing you the best range of spice processing machine for food industry with effective & timely delivery. We are specialized firm manufacturing wide range of Spice Processing Machine for Food Industry. 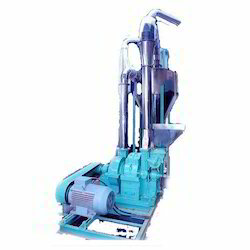 This machine operates on three step process of washing, pulverizing and mixing, which makes it highly useful for processing various kinds of spices. Moreover, we have developed this high performing machine with 200 kg/hr to 2 ton kg/h output capacity that operates on a powerful motor ranging from 2 hp to 100 hp.